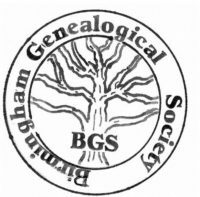 Welcome to the Birmingham (Alabama) Genealogical Society’s Website! Membership dues are $20.00 per calendar year for an individual membership and $25.00 per calendar year for a family membership, payable before January 1st of each year and may include an additional member of the family. As part of your membership you will receive one copy per family of the Society’s quarterly magazine, PIONEER TRAILS, and a monthly newsletter. Are you interested in joining our society? To get a membership form, click here. The Society meets in the 3rd floor of the Linn-Henley Research Library (part of the Birmingham Public Library) in downtown Birmingham. The meetings are held on the 4th Saturday of the month from 2:00 PM to 3:00 PM, except for November which is the 2nd Saturday and we do not meet in December. We welcome your comments and suggestions about our web site and/or society.